Teardrop flap with front zip-pocket opens to small open pocket. Side zip-entry to main compartment. 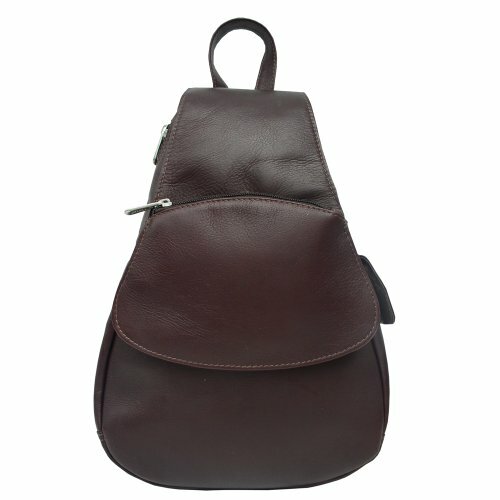 Rear zip-pocket, side phone pocket, top handle, and split zippered strap so can be worn as a backpack or sling bag.